Do The Quirky Luminette 2 SAD Light Therapy Glasses Really Work? 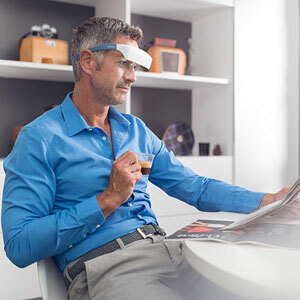 SAD glasses, like the Luminette 2 SAD Light Therapy Glasses, are highly appealing to all those that want a simpler, more convenient way to take part in light therapy. Still, there are others that are wary of this sort of light source so close to their eyes. Is this SAD solution safe, effective and recommendable to other sufferers? Copyright © 2019 · SAD Light Therapy Reviews, All Rights Reserved.